It’s new challenge time over at the Cupcake Inspiration Challenge. This time we have a colour prompt to work with – pink and white. It’s perfect for feminine or love themed cards. I decided to use the colours to create a CAS birthday card using stamps and dies from our sponsor, Your Next Stamp. Come and play along with our challenge for a chance to win a $20 gift certificate to spend with them. 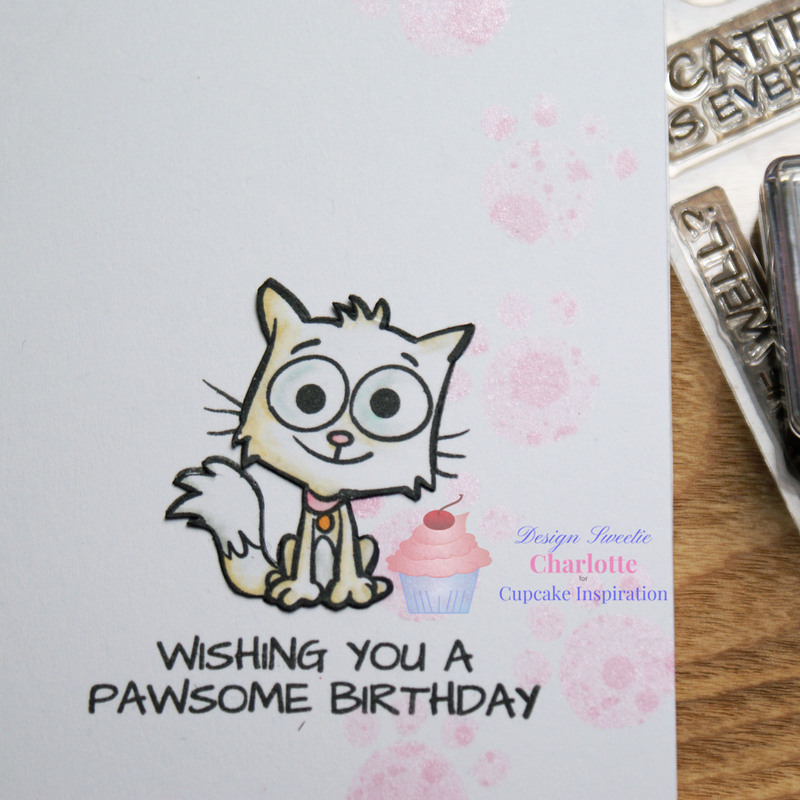 I began my card by using the Mini Paw Print die to create a stencil from a post-it note. I then positioned it onto my card base and stamped through it with Altenew Rose Quartz ink and the YNS Mini Ink Splatter stamp. This gave the appearance of texture to the paw prints. The shape of the prints wasn’t immediately apparent when just stamped through, so I added more colour to the paw prints by pressing Delicata Pink Shimmer pigment ink into them. Once I’d completed my border of paw prints I moved on to the other elements of my card. I stamped one of the cats from Cool Cats onto a snippet of white card and coloured with my Spectrum Noir Illustrator markers. I went with creamy white fur for the cat and also gave her a pink collar. I then fussy cut the cat out and set to one side. As I didn’t fussy cut around the delicate whiskers of the image I stamped the cat again directly onto the card base at the same time as adding my sentiment. Stamping the cat again meant that I could still have the cat’s whiskers in the design despite not having cut around them. I then used Tombow Mono Multi liquid glue to adhere the cat into place on the card base, which completed my card. It’s difficult to catch the shimmer and prettiness of the pale pink paws in photographs, but I think the delicate colour works nicely on this clean and simple design. That said, I do wonder if a bolder pink might have been a better choice alongside the pale cat. If you’re inspired by these colours I’d love to see what you create. Remember to link up to the challenge for your chance at the prize! Sweet card Charlotte. Great tip for getting the intricate details of a stamp onto a card without needing to cut round them. Thanks so much for playing at AAA Cards, hope to see you in our gallery again soon. Oh, such sweet card! Love that image and crispness of your design. Thank you for sharing your card with ATSM! Gorgeous CAS card Charlotte! The image is super cute and I love the pretty pastel paw prints. This is adorable!!! I love kitty cards! I used a cupcake on mine too! Oh so fun!! Thanks for playing along our January challenge at a2z. Such a sweet card. That cat is so cute. 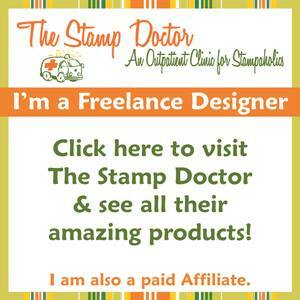 A cute stamp and I love the background you creaed too. What a lovely card Charlotte, the pink paw makes me go.. aww! Thank you for playing At AAA cards, hugs ~ Ishani.